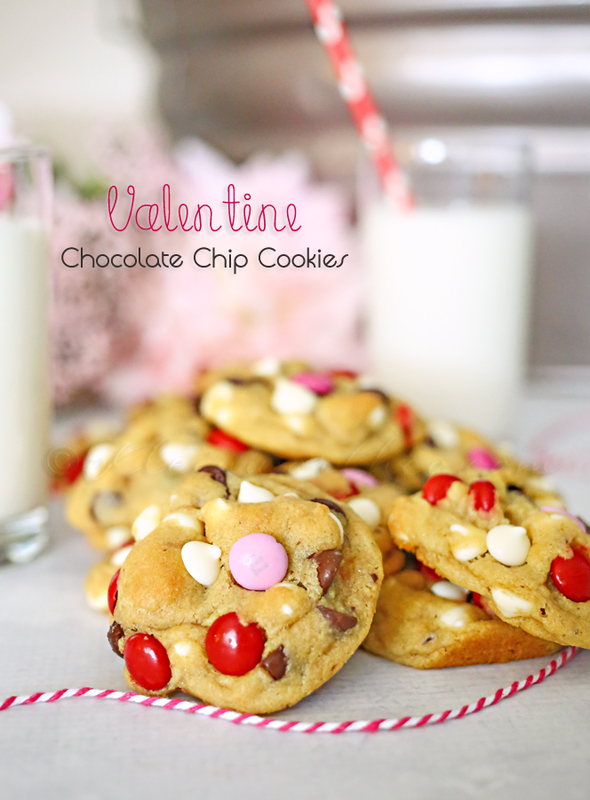 Valentine Chocolate Sugar Cookies are a soft and chewy chocolate sugar cookie decorated with Valentine M&Ms that are perfect to give your sweetie. 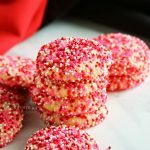 Do you love sugar cookies? 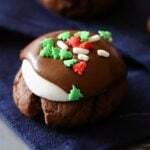 What about chocolate sugar cookies? Yeah- I thought that might get your attention. 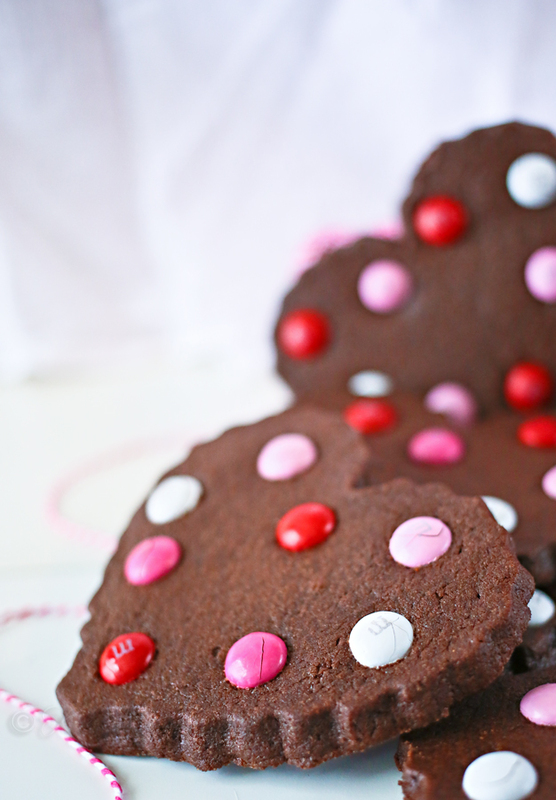 I originally shared this Valentine Chocolate Sugar Cookies recipe a while back on Or So She Says. But these are too good to not share here with you too. 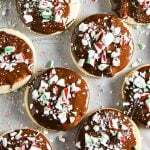 Chocolate sugar cookies are my favorite variety so whenever I have the choice between standard vanilla or the chocolate – I will always go for the chocolate. There’s just something about a chocolate sugar cookie. 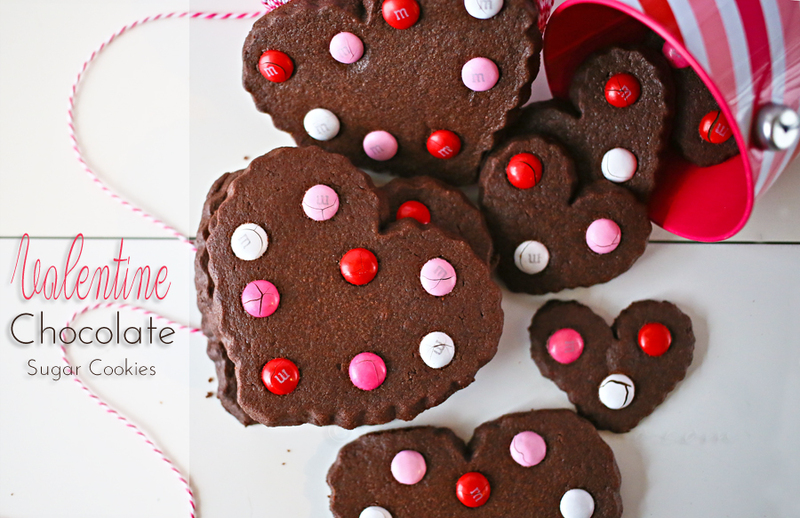 Chocolate is the perfect flavor for Valentine’s Day and these adorable little heart cookies will make your valentine so happy. 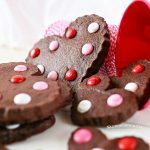 I used my scalloped heart shaped cutters – my favorite ones out of all my hundreds of shapes. These really are so good. 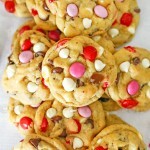 Soft & chewy & those M&M’s add just that little something extra to make them fabulous. Can I decorate these cookies with frosting? Absolutely. They would be great with frosting. 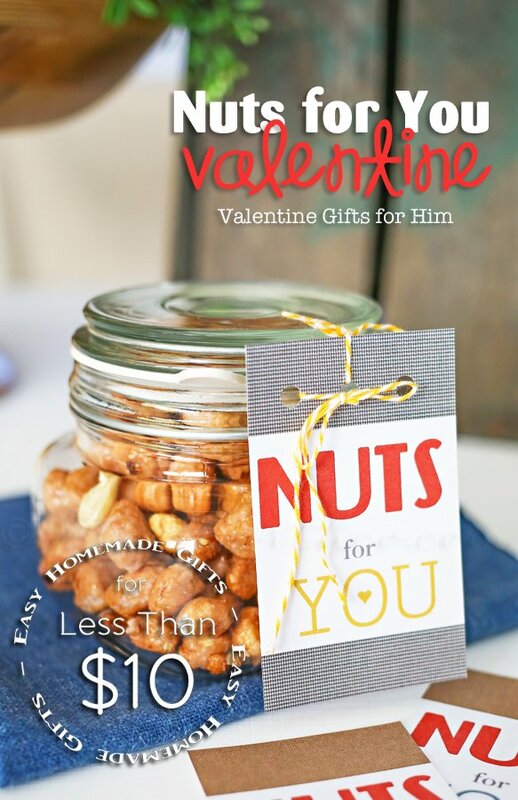 I just loved the simplicity of the Valentine M&M’s. Where can I find the cookie cutters? I received mine as a gift. But you can find similar ones here on Amazon. 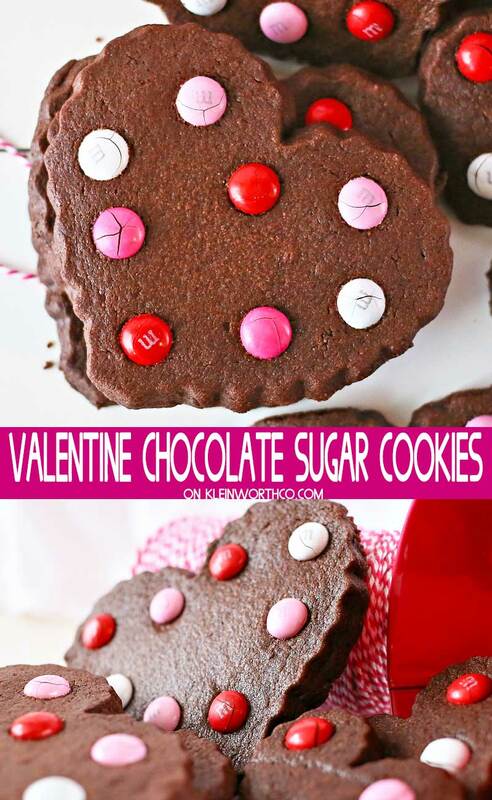 HOW DO YOU MAKE Valentine Chocolate Sugar Cookies? Combine butter & sugar. Beat on medium speed until light & fluffy. Place another piece on top & roll out to about 1/4 inch thick piece of cookie dough between the 2 sheets of parchment. Place your M&M’s on your cookies & bake. I absolutely love these cookies. Their fun Valentine colors…..the fact that they are chocolate. Love them. I originally thought that these cookies would be frosted. But then I realized that I had just purchased SO MANY bags of M&M’s with the intention of using them in baking. Before long all these red & pink candies won’t be able to be used in my baking & there they will sit. Then someone will just have to eat them – plain, possibly a whole bag….in one sitting. Yeah- you see why I have to use them in a recipe. Oo, now that is a heavenly combination! Chocolate + hearts!? 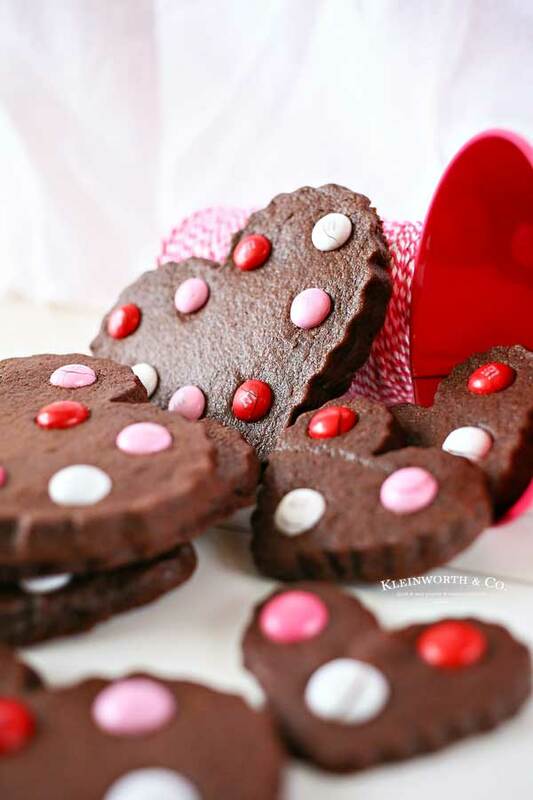 You just can’t go wrong 🙂 These cookies are adorable–and look perfect for Valentine’s Day. Thanks so much for sharing at The Makers! What beautiful cookies! I definitely wouldn’t mind receiving a couple of these on valentine’s day. Love these! 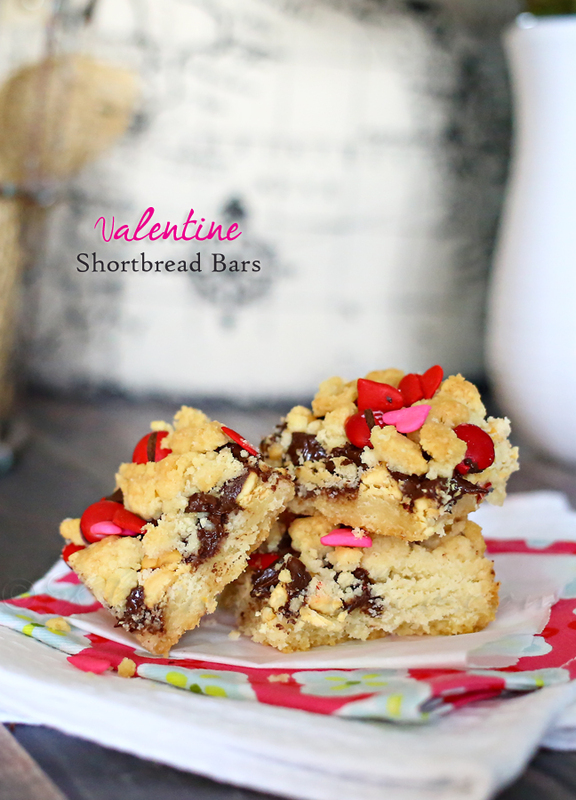 I made some of these last week for my blog and they are soooo good! visiting from Moonlight & Mason Jars Link Party! 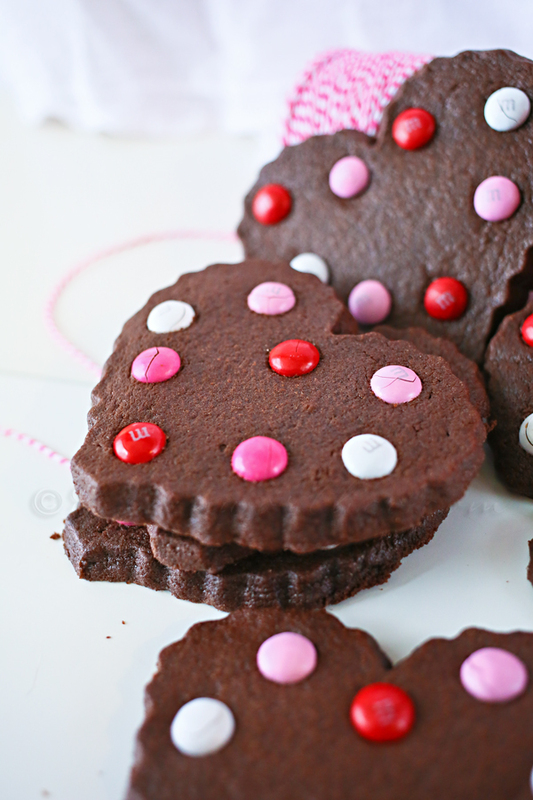 Yum…I’ve never seen a recipe for chocolate sugar cookies…but really, it makes total sense! 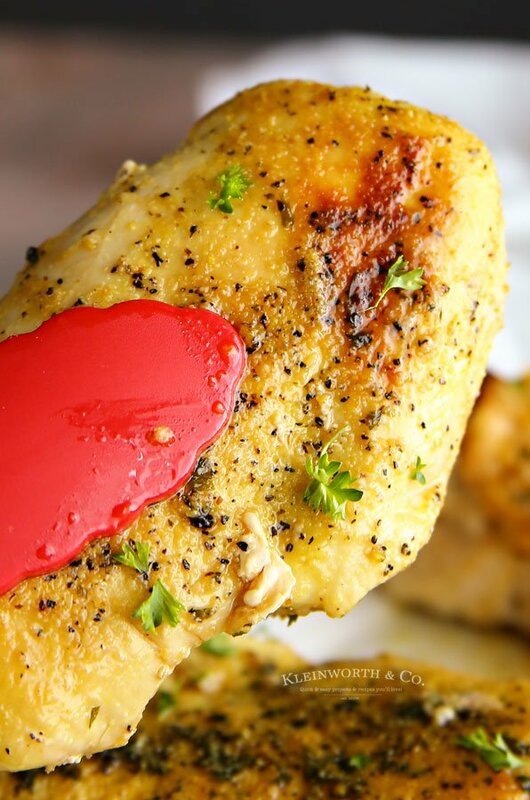 Pinned and can’t wait to try them. These look SO yummy! I am going to have to make some of these with the kids this week! These cookies are just too beautiful! Almost too beautiful to eat! I think that 3/4 ” is a bit thick for a cookie. 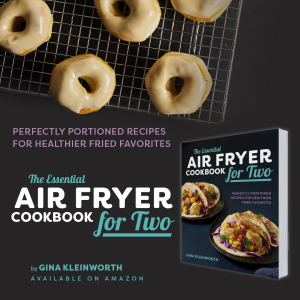 Perhaps you meant to say 1/4″.